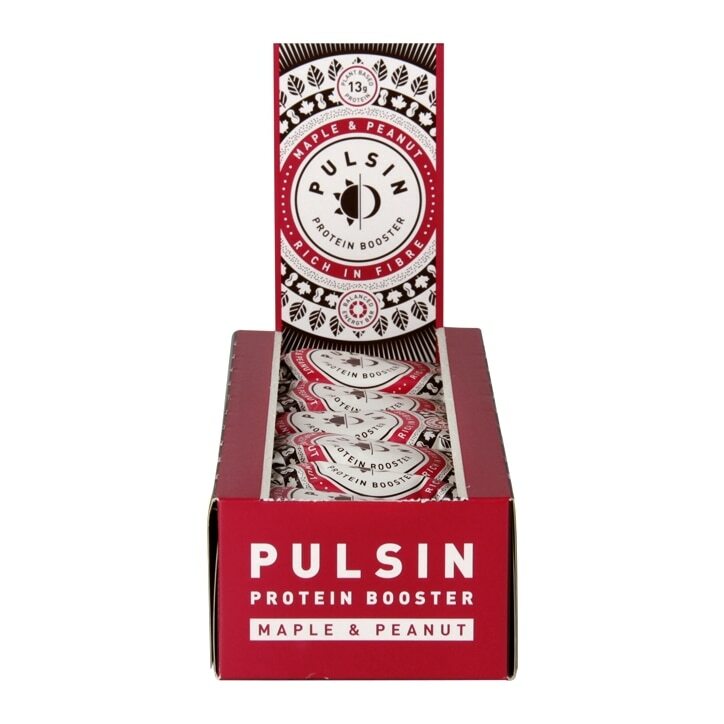 Pulsin Maple & Peanut Protein Booster is rated 4.2 out of 5 by 20. Rated 5 out of 5 by JuliaN1976 from Great taste Totally satisfied with this product. Great taste! 100% recommend it! Rated 3 out of 5 by Dee1944 from strange texture Not what I expected. Rather unusual taste, didn't seem like a maple taste and melts a bit when we have a hot day, and add it to a packed lunch. Rated 5 out of 5 by cmpbll14 from great delicious, ordered 18 more. Nice flavour - was afraid it would be sweet or very fruity like so many bars are, but not at all. Savoury with a hint of sweet. Really nice. Rated 5 out of 5 by DerdelM from The perfect bars I dislike all energy and protein bars that are sweet. Pulsin are the first bars that are filling, without being too sweet. I usually have one after my morning run and it keeps me going for hours. Great product, highly recommended.